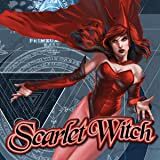 Collects Scarlet Witch #1-4, Avengers Origins: Scarlet Witch & Quicksilver #1; material from Marvel Team-Up (1972) #125; Solo Avengers #5; Marvel Comics Presents (1988) #60-63, #143-144; Mystic Arcana: Scarlet Witch. 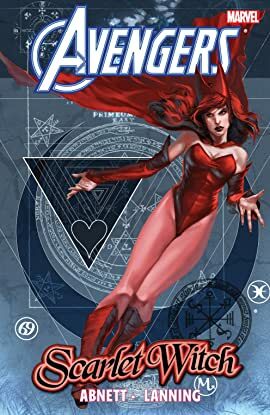 Wanda Maximoff, the Avengers' most bewitching member, goes it alone in this collection of her solo adventures away from Earth's Mightiest Heroes! First, cosmic writing team DnA's science and the Scarlet Witch's magic combine in true comic-book alchemy! Wanda must confront very personal demons, pitting her uncanny hex powers against horrifically twisted versions of the West Coast Avengers -- and the unwanted affections of old nemesis Master Pandemonium! Plus: Wanda's rich history is explored -- including her mystical past as a gypsy girl, her relationship with brother Quicksilver and her pirate ancestor Red Lucy! Guest-starring Dr. Strange!